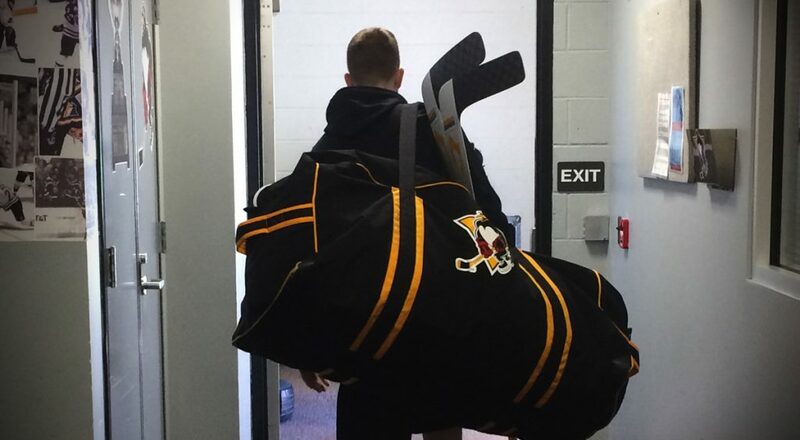 WILKES-BARRE, Pa. – On Tuesday, David Warsofsky was named to his first All-Star Game. 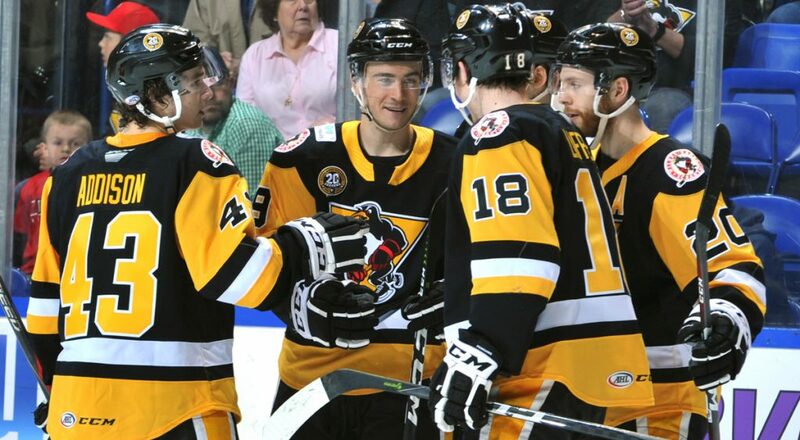 On Wednesday, Warsofsky further validated his selection by scoring with 1.2 seconds left in overtime as the Wilkes-Barre/Scranton Penguins defeated the Syracuse Crunch, 3-2, at Mohegan Sun Arena at Casey Plaza. The Penguins (31-9-3-0) captured their fifth-straight win on home ice thanks to Warsofsky’s second OT game-winner of the season. Syracuse struck first at 13:26 of the opening period when Joël Vermin roofed a shot bar-down above Tristan Jarry off a cross-crease feed from Cory Conacher. Wilkes-Barre/Scranton evened the score, 1-1, at 4:15 of the second period after Tom Kostopoulos swooped across the Syracuse crease, corralled a Teddy Blueger rebound and potted the tying goal. The marker was his 499th career point in the AHL. 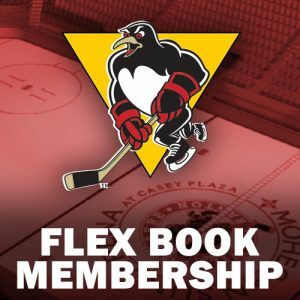 The Penguins took a 2-1 lead at 6:30 of the middle frame after Kevin Porter scored blocker-side on a breakaway thanks to a needle-threading stretch pass from Warsofsky. Syracuse’s Adam Comrie made it 2-2 at 9:31 of the second stanza after knocking in a rebound that sprung free next to Wilkes-Barre/Scranton’s net. An up-and-down third period yielded no more scoring. The two division-leading squads remained in a stalemate and required sudden death, three-on-three OT to settle the contest. Warsofsky finished the job from there. Jarry made 39 saves on 41 shots faced, earned his 18th win of the season, and moved into a tie for first place in wins among AHL goalies. 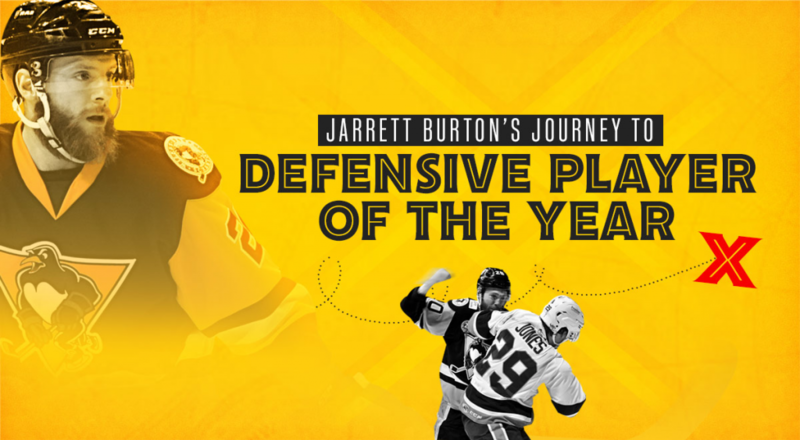 He also surpassed his win total from his rookie season. Kristers Gudļevskis made 26 saves on 29 shots for the Crunch. 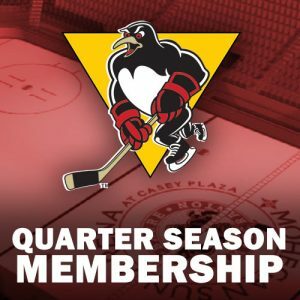 Wilkes-Barre/Scranton’s next game is Friday, Jan. 27, when they travel to upstate New York and face the Utica Comets for the first time this season. The Penguins’ next home game is Friday, Feb. 3 for the first visit in 2016-17 by the St. John’s IceCaps to Mohegan Sun Arena at Casey Plaza. 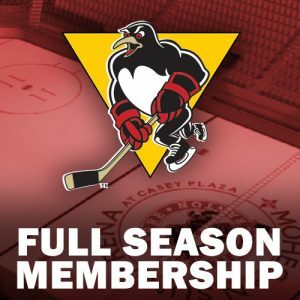 Individual game tickets for Feb. 3’s game and all Penguins home games are available at the Mohegan Sun Arena box office, online at TicketMaster.com, or by calling 800-745-3000.